I love a lazy weekend afternoon in Shanghai. Unlike Singapore where the steamy weather often forces me into taxi cabs with air con, in Shanghai I love to spend the day walking the city and exploring various neighborhoods. 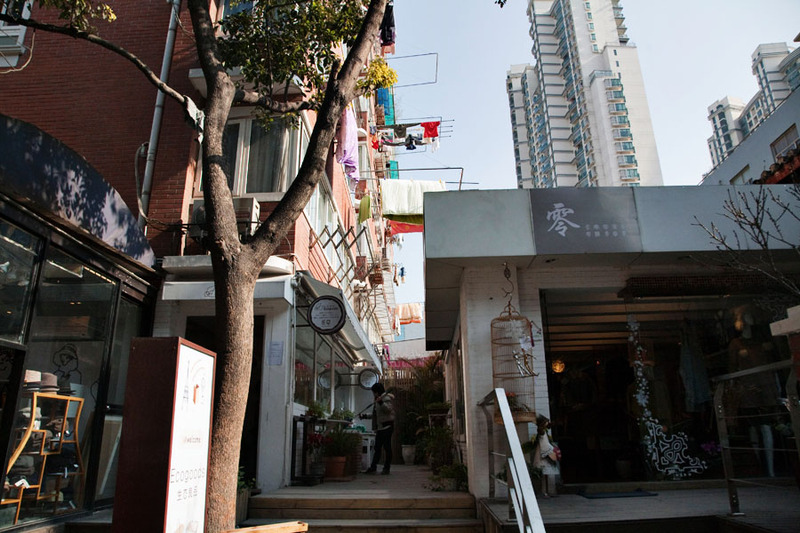 One favourite for whiling away a Sunday is Tianzi Fang at Taikang Lu, on the southern border of the French Concession. Being a former NYer this area reminds me a lot of Soho in NYC – its cobblestone streets are lined with coffee shops, wine bars, brunch places, art galleries, unique jewelry stores, gift shops, clothing boutiques, handicraft centers, shoe stores, and more. 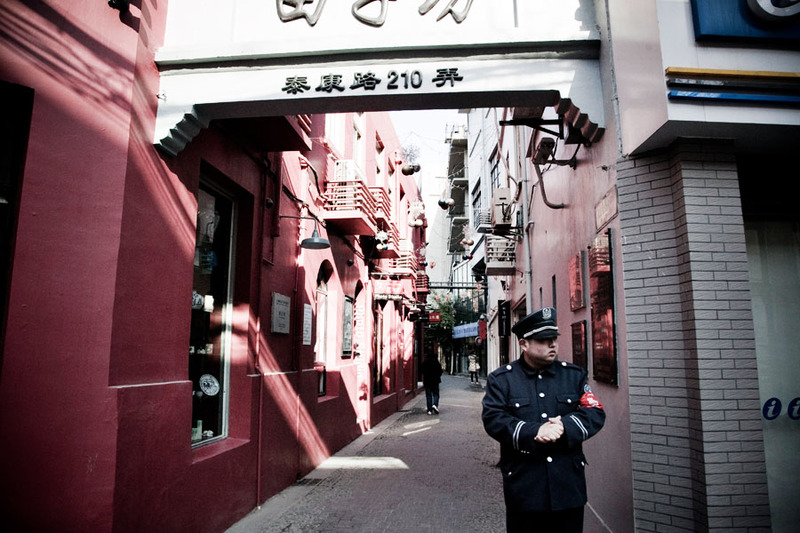 The shikumen style of Tianzi Fang at Taikang Lu takes you back to the old China of the early 1900’s. 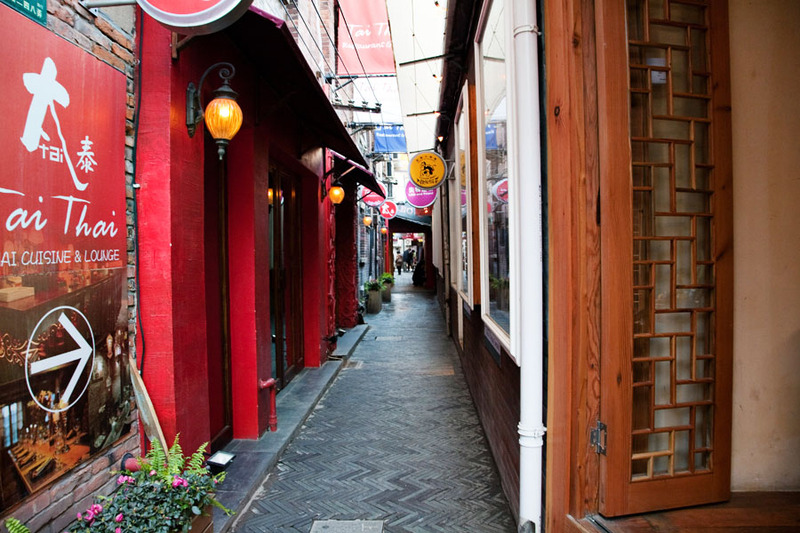 These charming little shikumen townhouses have been converted into shops. 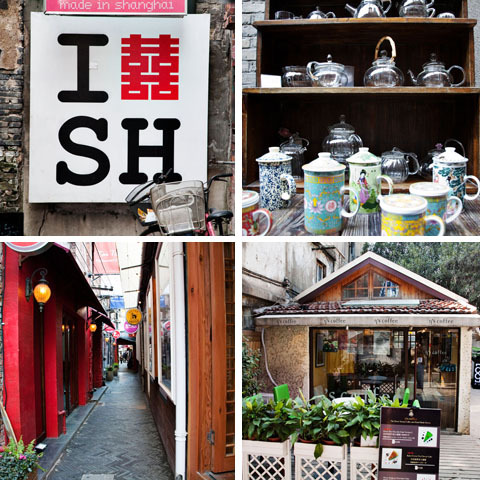 And in Tianzi Fang there is a twisted tangle of quirky stores where you can get lost for the day, wandering in and out of shops and stopping for a tea or coffee every now and again. While each shop and gallery are distinct and unique, I have a few favourites and notables to share with you. An expansive gallery with black and white photos capturing the soul of Shanghai. A lovely shop featuring local embroidery and handicrafts. I bought a wonderfully ruffly wool, cashmere blend handknit scarf here. A creative concept in fine porcelain – old and priceless reproductions of Chinese paintings are hand-painted on porcelain cups and plates. Also have teas and a small selection of jewelry. Original artworks by Mandi as well as artworks by other local artists, objects d’art and jewelry. I loved Mandi’s series on Chinese Kimonos and apparently others do too as she has exhibited her works widely through Asia and Europe. A leather shop that sells ready to wear and custom made bags and shoes. If you have Western-sized feet and cannot buy your shoes in a “regular” store, this is a great place to come for handmade, custom shoes. The men’s selection in particular is understated and elegant. 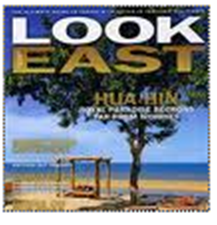 A well edited selection of Asian home décor – from lacquerware to pottery to ceramics and more. Many items are Chinese but there is also a wonderful collection of modern Korean items. 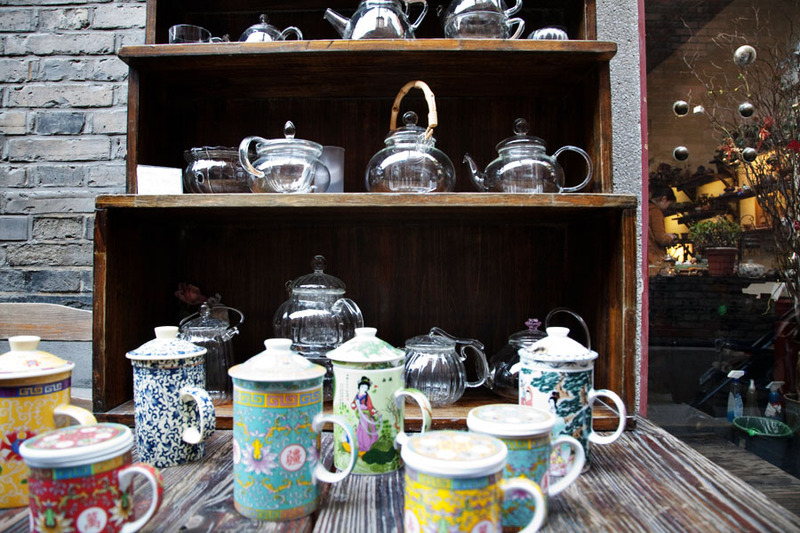 A wonderful traditional Chinese tea shop with endless varieties of teas and gorgeous, unique tea pots and tea cups – from delicate, feminine pieces to chic, urban modern designs. A unique designer T-shirt store – designs combine Chinese cultural and political symbols with modern street-wear elements. 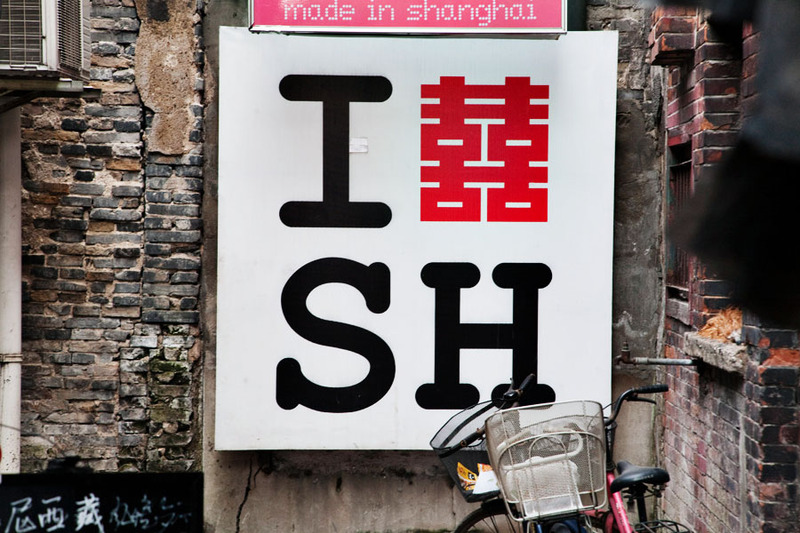 I liked the iconic “I love Shanghai” shirt. A wonderful and cozy wine bar / restaurant with a great wine list. 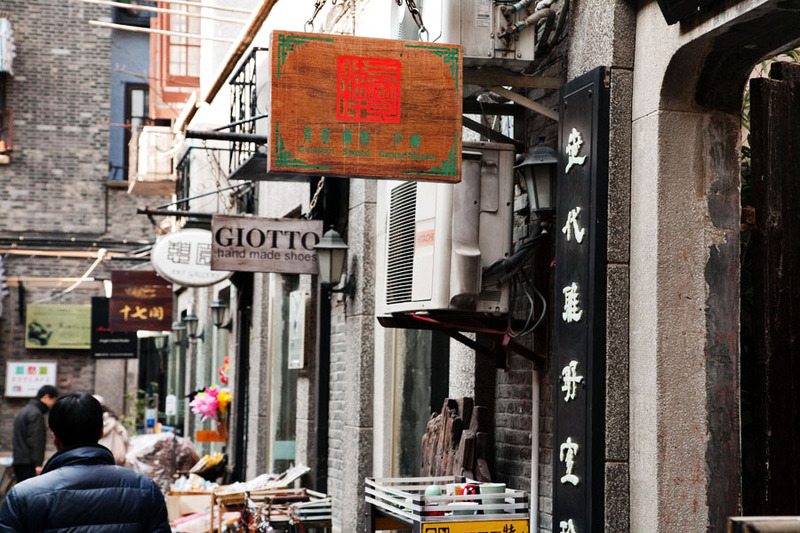 One of the few wine bars in Shanghai that retains the “old-Shanghai” feel. Stop in for a drink after a day of shopping and strolling. The above list presents a few highlights…but the area is overflowing with options. 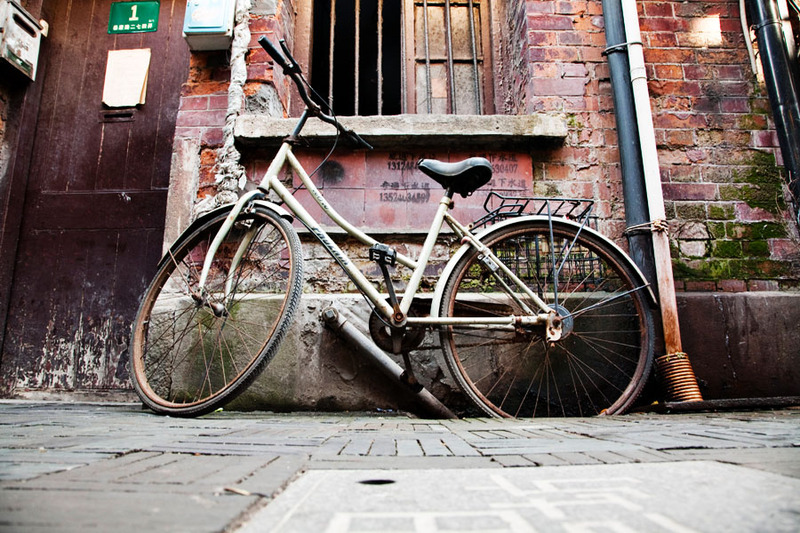 So whether your interest runs to local artists and handcrafts or fashion clothing or precious porcelain, you will find something in the Tianzi Fang at Taikang Lu area to capture your imagination. I love this place too..
It’s my first reason loving Shanghai..